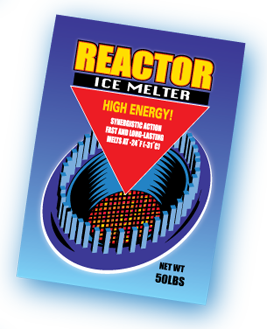 Reactor™ Ice Melter is a superior blend of calcium chloride, sodium chloride and urea for optimum speed and staying power. 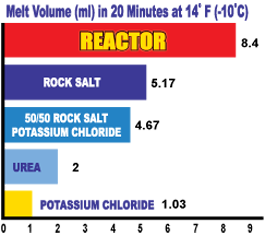 Its proven performance helps against re-freezing, even under challenging conditions. Proven performance up to -24°F (-31°C). Visible green marker makes application easy and prevents overspreading.